Chicago Food Machinery #8 Stainless Steel Meat Grinder easily attaches to any counter top surfaces for your convenient use anywhere. It comes equipped with a full assortment of plates, a set of sausage stuffing tubes, and knives. This all inclusive kit will make meat processing a breeze as it easily disassembles for quick cleanup. Chicago Food Machinery #8 Stainless Steel Meat Grinder comes with a 1 year Limited Manufacturer Warranty. 4.5mm – Ideal for making ground hamburger, bologna, hot dogs, jerky. Butcher's Insider Secret: Equipped with 5 knife blades, one to match with each plate. 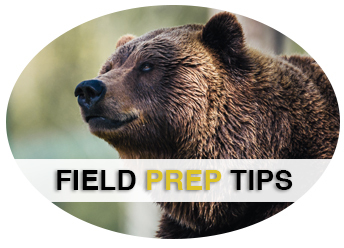 A common mistake home meat processors make is using the same knife blade with each size plates. The plates have very small imperfections which will in turn cause nicks and grooves in the knives. If the same knife is used with the same plate, these grooves will match up with the plate and make for a smooth sharp cut. If knives are shared then they will acquire grooves that don't match with the plate being used and will not make good contact for a clean cut. 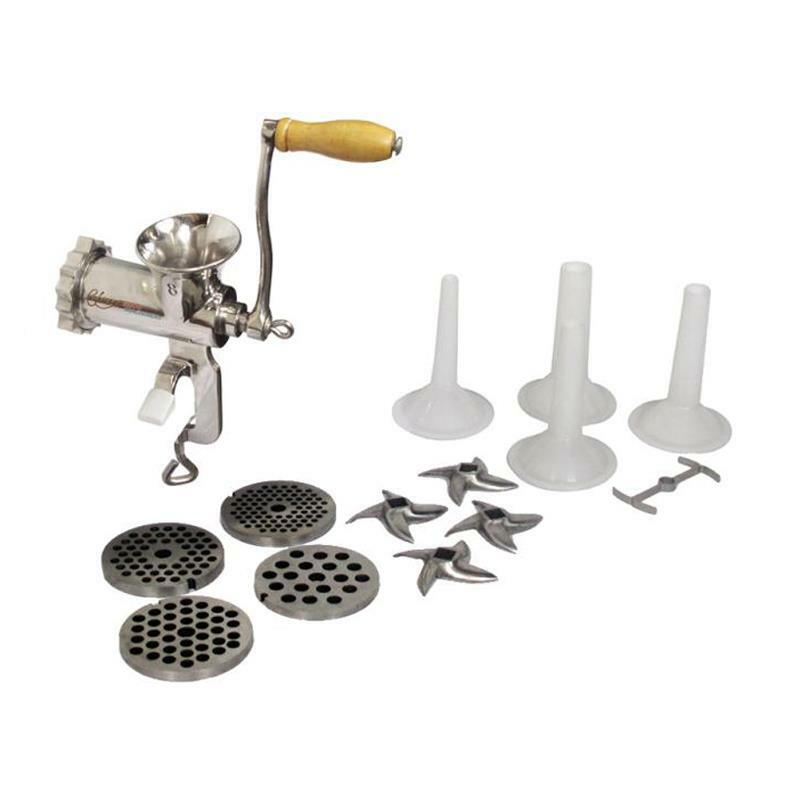 Equipped with sausage stuffing tubes: Remove the knife blade and the plate and insert the screw feeder and sausage stuffing tube and your can run your spiced ground meat through to make delicious sausages. Comes with 4 size tubes, 15mm - 30mm. Stainless Steel quality design, with polished exterior. Each of the Chicago Food Machinery brand stainless steel meat grinders with exterior polish finish are created with the metal casting process called "sand casting." Frequently preferred over mold casting, sand casting offers a better final product not only in appearance (less "seams") but also in durability. Sand cast stainless steel products, like the Chicago Food Machinery manual meat grinders, are better able to withstand the rigors of shipping, frequent use, and offer an easier cleaning experience than cheaply manufactured competitors on the market today. Click to View Grinder Interior. Not sure which meat grinder you'd like? Or what those numbers mean? View our Order Guide .